How does he do it all? With help from my wife obviously. I couldn't do anything without a lot of patience from my wife. Generally I write late at night, but when I'm working on a long article, or have an upcoming deadline, I generally shift more into family time and my wife is great in helping pick up the slack. Behind every great geneadaddyblogger is a great woman. We recently (less than a month ago) had our third child, and that has been challenging (3 is more than 2, imagine that) but slowly I'm getting back up to speed with my genealogy and blogging. I'm not a professional genealogist. In fact I'm the CTO (Chief Technology Officer) of a high-tech company in Israel. I've been doing my own genealogy research for about 15 years. Two years ago I published a book in honor of my grandfather's 94th birthday which detailed all the descendants of his grandfather. I spent a long time collecting photos from distant cousins, which meant that for everyone reading the book, they got to see family photos they had never seen before. It was just for family, but it was fairly popular among my close and distant cousins. It made me think perhaps I could do more with genealogy. First, I wanted to brush up on my writing. I hadn't written non-corporate-copy since college, and flexing my writing skills seemed like a good idea. I was also toying with the idea of writing a book on Jewish genealogy (which is the focus of my blog), and a blog seemed like a great way to try out ideas and to write early drafts of different parts of my book. The blog would also help me determine if writing a book was something I really wanted to do (and indeed it seems it is not). Second, blogging seemed like a way to improve my own genealogical skills. Putting instructions in writing is a great way to help one really understand the techniques they're using for their research. If you can explain it to someone else, you will understand it better yourself. I find myself also referring back to my own articles when I'm going to do research in an area I covered, and I want to brush up on what to do. It's sort of a public journal on genealogical techniques. Einstein famous said that “If you can't explain it to a six year old, you don't understand it yourself” and I while I don't think there are any six year old reading my blog, I think if I can explain things clearly to others, I'll understand them better myself. Third, I wanted to help others with their genealogy. When people find out I am interested in genealogy, I frequently get questions on how to get started. Most people ask me the same questions, or variations on the same questions. I wanted to write down the techniques I use, so others can learn, and when people do ask me a question, I can direct them to the articles I've written. I also provide resources like my genealogy forms (bloodandfrogs.com/p/forms.html), Genealogy-Enhanced Search (bloodandfrogs.com/p/search.html) and my listing of naturalization records available online through the National Archives (bloodandfrogs.com/p/naturalization.html). Facebook has turned out to be an amazing place to help people get started with their genealogy, and while comments on my blog are usually reactions to my articles, posts on my blog's Facebook Page (http://facebook.com/jewishgenealogy) are usually questions on how to get started. I try to respond directly as best I can. I passed 2500 'Likes' on my Facebook page recently. Lastly, I thought blogging would help get me out into the genealogy community where I could meet more people who were interested in genealogy. Genealogy can be a lonely pursuit sometimes – I don't know any families where everyone is interested in genealogy. There was no genealogical society in my city, and finding people online seemed a good way to branch out. Since starting the blog I've branched out quite a bit. One of my blog articles has been re-published in a print journal, with a second article (in a different journal) in preparation now. I founded a branch of the Israel Genealogical Society in my hometown of Modi'in, Israel, and I spoke at the IAJGS International Conference on Jewish Genealogy this past August in Washington, DC. How does he remember to do it? This is an area I could improve on, to be sure. For writing my blog, I have two general approaches. For timely posts, which are usually short posts based on something going on that day or that week, I usually just sit down and write it quickly whenever I come up with the idea. It's kind of the GTD approach of not writing down to-dos for things that are quick to do – just do them. For longer articles, which sometimes require extensive research, I will usually start the article, leave it as a draft in Blogger, and come back to it as I have the time. I've had some ideas sit as Drafts for months before finishing them. The worst is when these two approaches merge, and I come up with a great idea for a long article and decide to write it all that day. That's when whole days get lost. Some projects, like my search engine and the genealogy forms, sucked significantly more than a day or two to get them completed. Of course, these bigger projects also tend to get the most usage from people, which is satisfying. Those pages consistently get the most visits on my blog. Consequently, if you've used my genealogy forms, post a comment on the forms page as I have no way of finding out who uses them and how well they work in practice (although I did solicit feedback on the first versions of my forms which I incorporated into revised versions). For general time-tracking I use iCal on the Mac and sync it to my iPhone, but rarely do I use that for my blog (which is more it-will-get-done-when-its-done). Last year several people I got in touch with directed me to the same woman, who had researched the same family name in the same small town as I was researching. When I got in touch with her, she told me she had stopped doing genealogy because none of her children or grandchildren cared. It was a bit depressing to hear her talk about it, and I felt really bad. She had spent so much time (and money) on researching her family, and her family had no interest. 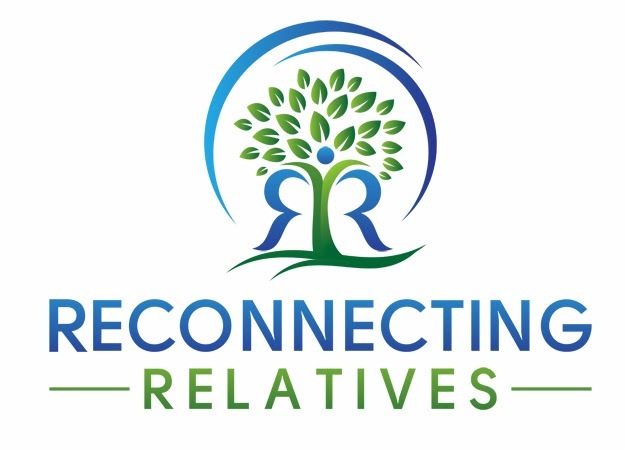 As I am somewhat younger than many of the genealogists I meet (and certainly much younger than that woman) I think I have a very different perspective of why I do genealogy, which I think is important. First, I do genealogy because I enjoy it. Sure, if no one cared about the work I do researching my family it might bother me one day, but the truth is I enjoyed doing the research at the time, and that in and of itself is worthwhile to me. Some people collect coins, some people play fantasy football, I do genealogy. Second, I'm not hoarding everything I find with some future goal of handing it down to my children or grandchildren to continue. I share my work today as much as possible with my extended family and I already know many of them appreciate it. I know several of my 4th cousins (at least two live in the same town as me) and my children now actually play with some of their 5th cousins. Sharing with extended family is not purely altruistic, as I also hope to learn from them about their branches, and see what they know (and what photos they may have) of older generations. Third, while sometimes people have no interest in finding out about their extended family, some are amazingly interested. Earlier this year I communicated with a distant cousin who had survived the Holocaust by being sent on a train to England as a child. His parents, who remained behind, were killed shortly thereafter (for those interested, there were about 10,000 children saved in this way in what were called 'kindertransport' which you can find out about online). I had found a record on his father in Belgium and was able to send him a photo of his father. Since he had left on the train in the late 1930s he had never seen an image of either of his parents until I sent him that photo. Our family branches probably hadn't spoken in nearly a hundred years, yet I was able to do something very special for him. Those are things we as genealogists can do, and should do, in the process of our own research. Fourth, my grandfather's uncle collected a large number of family photos and documents which he passed down to his children (and a few to my grandfather). I'm absolutely certain he had no idea I would be contacting his children and grandchildren one day (he died when I was 2) to gather together his original collection and help copy and preserve the photos, but I'm certainly glad he took the time to save and hand down those photos and documents. Some of the photos he preserved existed in other family collections, but many were unique and if he hadn't taken the time, everyone in my extended family would have lost out – including his direct descendants who each did not have all of the photos and documents. What I do now will also one day make it to many relatives, and perhaps back to my direct line as well (if for some reason it doesn't get handed down directly). Lastly, I have no idea if my children or grandchildren will one day be interested in the work I've done (my oldest child is 4 now), but I hope to instill not only an interest in family history to my children, but to do so in the context of stressing to them the importance of family in general. In anyone's family research, undoubtedly one runs into great stories and non-so-great stories. All of these stories, good and bad, can be used to teach one's children important life lessons. Using stories that originate from your own family makes the lessons that much more relevant to one's children. If someone in your family did something, even a hundred years ago, that you think should be emulated, that is something your children can connect to. On the same token, if there is an example of someone who did something you don't want emulated from your family history, the fact that a real person related to your child went through something you want to prevent your child from doing is also something they can connect to, and hopefully learn from. Philip Trauring is the author of the blog Blood and Frogs: Jewish Genealogy and More (http://www.bloodandfrogs.com/), is a guest-blogger on the JewishGen Blog (http://jewishgen.blogspot.com/), answers Jewish genealogy questions on Facebook (http://www.facebook.com/jewishgenealogy), and can be followed on Twitter (http://www.twitter.com/bloodandfrogs). He also uses Google+ (http://gplus.to/trauring) occasionally but hasn't actually figured out why yet. at 7 AM Eastern beginning October 15, 2011. If you missed a day, click here. Now that we have officially added a father's voice to the conversation, perhaps the name of the series should change to simply, How They Do It, or....send me your ideas. I would love to come up with a more inclusive title, one that would include everyone struggling with this issue, not just parents. What do you think? Tweet your ideas to @scrappygen or send an email to jshoer [at] jenalygen [dot] com and I will tweet them for you. How about an empty nester taking care of two sets of parents and a daughter just launched? I really enjoyed hearing from all the newer Mommies and the one new Daddy. This is a great series! Not to mention that your two sets of parents are located across an ocean from each other. How do you do it, Heather? One thing very clear is the universality of the struggle to live life, take care of our loved ones and ourselves, work, 'do' genealogy AND blog about it. "Behind every great geneadaddyblogger is a great woman." As someone with a lot of Jewish ancestors, I'll be anxious to learn from you. And congrats on the new baby! Phil, I've been following your wonderful blog for a few months and had no idea how young you were, though you did say you were about to have another child. Wonderful family picture included here. I think he "do" genealogy primarily for ourselves. We're bitten by the genealogy bug, others aren't. Some of my family is mildly interested - they'll settle for the big picture; when I get into the details their eyes glaze over. I continue to hope to uncover someone who is enthusiastic, interested and eager to take on some of the research. Until then, I know that people's interests evolve and I have in mind two nieces who I think will be glad to inherit this project sometime in the future. It's a legacy. It might lie fallow for a while after I give it up, but I have confidence someone will pick it up, maybe years down the road. I just found this article and love it! It was so refreshing to read through Phil's different perspective and analysis of what he does and how he does it--also to know this is research on Jewish genealogy! As someone who wearies at hearing that New Testament warning about "endless genealogies," I get my inspiration for persevering from the Old Testament genealogies. That list of "begats" is there for something! It's a heritage of who we belong to, but it's also a legacy of what we're passing down to newer generations. Thank God for all of us who got bit by the genealogy bug! Even though I'm not Jewish, I've heard wisps of family stories hinting that my dad's roots might have been such...and I've benefited so much from data compiled by the Jewish Gen organization in NYC. We can all learn from each other and help each other along! Toby and Jacqi thank you for the kind comments.